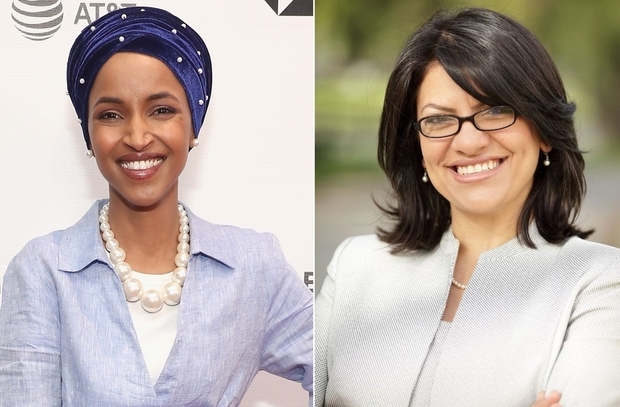 On Tuesday, in last week’s primaries, two Muslim women beat out their competitors to earn the Democratic nominations for congressional seats in Minnesota and Michigan. Minnesotan Ilhan Omar could become the first Somali-American in Congress if she succeeds in filling the seat left behind by Rep. Keith Ellison — also Muslim — who is running for state attorney general, in November. She will face Republican Jennifer Zielinski, the winner of a three-way GOP primary, in the general election. In nearby Michigan, Democratic U.S. House candidate Rashida Tlaib, became the first Muslim-American woman heading to Congress, given that she is running in a heavily Democratic-leaning district, and is virtually guaranteed to win the seat in November’s election. Tlaib, the daughter of Palestinian immigrants and the eldest of 14 children, has already sparked controversy after saying she would support cutting U.S. military aid to Israel when she begins her term. Also on Tuesday, a United Nations report estimated that between 20,000 and 30,000 Islamic State (IS) militants remain in Syria and Iraq despite the group’s recent losses. Among those still actively engaged militarily are large numbers of foreign terrorist fighters. The report warns that a “reduced, covert version” of IS could survive in both countries. Underscoring the report, BBC noted that last month, more than 200 people were killed and around 30 Druze women and children taken captive in an large-scale attack by IS militants in southwest Syria. Additionally, IS maintains “significant” affiliates in Afghanistan, Libya, Southeast Asia and West Africa. On Wednesday, Italian and Egyptian archaeologists revealed that the earliest-known true cheese has been identified in a jar found in an Egyptian tomb. The specimen dates back to the 13th century BCE, according to a paper published in the American Chemical Society’s journal Analytical Chemistry. Chemical analysis of protein chains detected in the specimen reveals that the cheese was made of a mix of milks from sheep, goat and African buffalo. The tomb in which the interred cheese was found was identified as belonging to Ptahmes, mayor of the Egyptian city of Memphis in the 19th Dynasty which ruled Egypt from 1292 B.C.E. to 1189 B.C.E; the tomb was originally unearthed in 1895 but was subsequently lost. Upon rediscovery in 2010, the archaeologists found pottery jars, inside one of which was a “solidified whitish mass,” according to the report. Secretary of State Mike Pompeo named two new envoys to Middle Eastern posts. On Thursday, Pompeo announced the creation of the Iran Action Group, which will “will be responsible for directing, reviewing, and coordinating all aspects of the State Department’s Iran-related activity.” Pompeo referenced President Trump’s withdrawal from the “flawed Iran nuclear deal, which failed to restrain Iran’s nuclear progress or its campaigns of violence abroad.” The Iran Action Group will drive daily progress on the objectives of reaching a new agreement with Iran and a “a whole-of-government effort to change the Iranian regime’s behavior.” At the press conference, Pompeo said “the Iranian people and the world are demanding that Iran finally act like a normal nation.” He named Brian Hook, currently the Director of Policy Planning at the State Department, as the leader of the IAG. On Friday, he appointed James Jeffrey, a career diplomat, as special envoy for Syria diplomacy. Jeffrey will be “coordinating policy on all aspects of the conflict in Syria and our support for a political solution,” Pompeo said in a statement. “Ambassador Jeffrey’s distinguished diplomatic career makes him an outstanding choice for this role.” The Jerusalem Post reported that Jeffrey is a former infantryman, ambassador to Turkey and Iraq and 35-year veteran of the Foreign Service who brings to the role extensive experience serving presidents of both parties and a strong reputation in Washington as an expert on Middle East policy. He is also known for blunt talk, and has spared none of his former superiors – nor his future boss – from sharp criticism. On Friday, the New York Times reported on a significant legal setback in the effort to prosecute five Guantánamo Bay detainees accused of aiding the Sept. 11, 2001, attacks. A military commission judge ruled that prosecutors may not use a key piece of evidence against the men: statements they made to F.B.I. interrogators shortly after their transfer out of the C.I.A.’s “black site” prisons nearly a dozen years ago. The ruling prohibits prosecutors from using statements obtained not only during interrogation sessions that relied on torture but also during subsequent sessions that involved so-called “clean teams,” whose agents did not know what the detainees had previously said, to start over with questioning them. The decision brought to a head a long-running and potentially irreconcilable tension in the case: Defense lawyers say they need to thoroughly investigate the torture of their clients at the hands of the C.I.A. for there to be a fair death penalty trial. But the government says there is a national security imperative to keep certain facts related to that period — like the identities of C.I.A. personnel who worked at certain prisons — secret. The ruling could also have an impact on future penalty phases for the detainees. Appeals are expected. On Sunday, in an interview from Tehran with CNN, Iran’s foreign minister Mohammad Javad Zarif said that the United States is addicted to applying sanctions on Iran. “I believe there is a disease in the United States and that is the addiction to sanctions,” he told CNN, adding that, “Even during the Obama administration the United States put more emphasis on keeping the sanctions it had not lifted rather than implementing its obligation on the sanctions it lifted.” The interview is the first the key architect of the complex nuclear deal between Iran and the West has given to Western media since some of the U.S. sanctions against Iran were renewed last week. The U.S.-educated minister gave the interview in fluent English on the 65th anniversary of a U.S.-backed coup that overthrew democratically-elected Iranian Prime Minister Mohammad Mossadegh.